While we would all love to live in a world that is safe and free from stressful situations, the reality is that we don’t. Watch the news on any given day and you will see that natural disasters are a good deal more common than we would all like. The one positive thing that comes out of these awful situations is that we can see the good in people and in businesses. Many companies that jump in to help do so without looking for any particular return. But doing so certainly helps their public image. 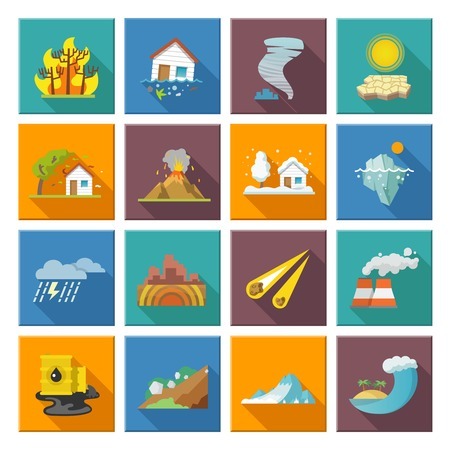 Businesses need to be careful about how they advertise after a natural disaster, and listed below are a few things that your business can do to ensure that it’s done correctly. Rather than going with the hard sell approach when you advertise after a natural disaster, choose instead to use this as an opportunity to show that your business cares. Talk about the people who have been affected by the disaster, and show what you are doing to help. It can appear heartless when you start an ad campaign right after a natural disaster, but if done correctly and sensitively, most people understand that the business side of things must and should go on as usual. Just be sure to make it clear that you are concerned about the plight of the people you serve. While it is natural to assume that running ads focusing on promotions and discounts may make it seem as though you are helping the victim lower their repair and recovery costs, the public might disagree on your effort. By putting ads that purely focus on pricing, what you are really doing is showing that you are still all about the money. Your ads should be talking about the people affected by the disaster, and what they need to get things back to normal. Pricing is certainly a part but is should be secondary. It’s one things to talk about all you are doing to help after a natural disaster, but quite another to let people see that what you are saying or advertising is indeed true. Be prepared to send extra staff into the areas that have been affected. Shifting and prioritizing resources and getting boots on the ground is still the best way for your business to show that it really does care about the communities that it serves. This is where geo-targeting functionality provided by the ad server can come in particularly handy, as it can ensure that your ads reach the people who will benefit the most. Again, rather than trying to sell, you can deliver information about help lines, info booths, and other resources that you can offer that might prove helpful to people in need. Even if you have never been part of a natural disaster, you have probably followed the aftermath on the news with continuous updates. It is to show how quickly the situation can change, which is why you need to be ready to change and update your ad or message at a moment’s notice. The same ad displays over and over might be out of touch with reality and when that happens, it does not look good for your business.